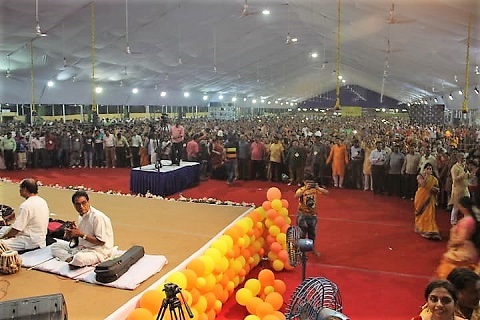 On day 5 of Vapi Katha, Shri Krishna janma was celebrated with chants in joy by Pujya Bhaishri and all those present. 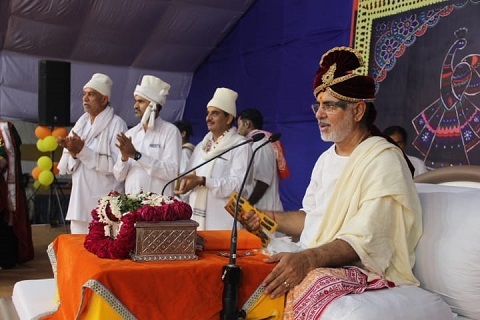 Pujya Bhaishri in the Katha inspired all on recognising one’s strength. 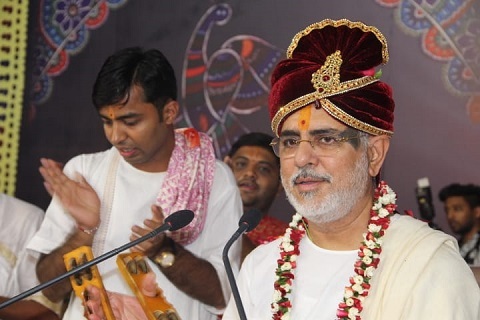 Below is a summary of what Pujya Bhaishri said on this topic. Do you know how much strength and capability you hold? No machine in this earth has been able to recognise this. You have only been able to portray a little bit of this strength and capability. The capability and strength a person has to think and create is not present in any other being. You may not be successful or be hurt many times but the belief in yourself and God enables you to still be successful and give something to the world. 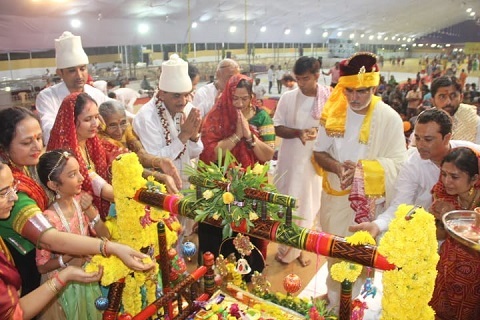 The society needs people who will carry out virtuous activities for the welfare of the society. When you say, “What am I able to do?” You are also mocking God. There is nothing that you cannot do. All you need is a strong will and to recognise your strength.